THE TOMMY Esguerra-Miho Nishida love team was born in PBB737 last year where Miho was the big runner and Tommy was the first runner up. Miho is 23, of Filipino-Japanese ancestry. She was born in Angono, Rizal but her entertainer mom brought her to Tokyo when she was 2 years old and raised her there. She became a teenage mom and is now a single mom with a 6-year old daughter. Tommy turned 22 last June, born and raised in Long Beach, California. He first went to Manila for a TV show but it turned out to be a scam. His love team with Miho hit it big on TV and they now have their own fans, with the single “binata” Tommy wholehearted embracing Miho’s love child. 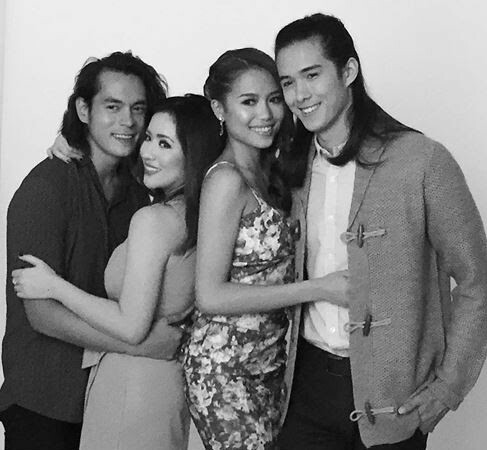 After PBB, they joined “Showtime” in the “Tomiho Realiserye” and they now star in the movie “Foolish Love” of Regal, with Jake Cuenca and Angeline Quinto, directed by Joel Lamangan. On ABS-CBN, they’re in the show “Funny Ka Pare Ko” with Bayani Agbayani on Cine Mo and will soon star in the new soap that will replace “Be My Lady” of Erich-Daniel. Looks like the public adores their tandem and their very first movie together will be a good test case if they could now have a hit of their own on the big screen.